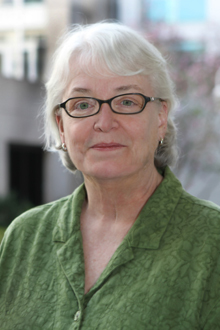 Martha Albertson Fineman, Robert Woodruff Professor of Law, is founding director of the Emory Law Vulnerability and the Human Condition Initiative. The Emory Law Vulnerability and the Human Condition Initiative will hold a two-day event on Emory's campus on Friday, Oct. 16, and Saturday, Oct. 17, in Tull Auditorium/Hunter Atrium in Gambrell Hall. Deborah Dinner, associate professor of law, will present a paper titled “Neoliberal Antidiscrimination Law: The Case of Title VII.” She will be joined by a lineup of authorities in the areas of family and labor law, corporate law, welfare history, economics and policy who are using the concepts of vulnerability and resilience to argue for a more responsive state. The event was organized by Martha Albertson Fineman, Robert Woodruff Professor of Law and founding director of the Initiative, and June Carbone of the University of Minnesota. Register for this event, which is free for all Emory students, faculty and staff to attend. For all others, the registration fee is $75, which includes dinner Friday evening and lunch on Saturday. Fineman says that the purpose of this workshop will be to examine the scope, nature and extent of the state’s responsibility toward children. “Existing frameworks for understanding justice — including individual rights, equality and efficiency — are modeled on an autonomous adult. How might our understanding of justice change if we centered children as the model legal subject?” she asks. The workshop will involve interdisciplinary dialogue among scholars and advocates in law, the humanities and sciences to begin to answer this question. The Vulnerability and the Human Condition Initiative aims to carve out academic space within which scholars can imagine models of state support and legal protection that focus on the commonalities of the human condition — most centrally the universal vulnerability of human beings and the imperfection of the societal institutions created to address that vulnerability. For more information on the Initiative see www.emory.edu/vulnerability.